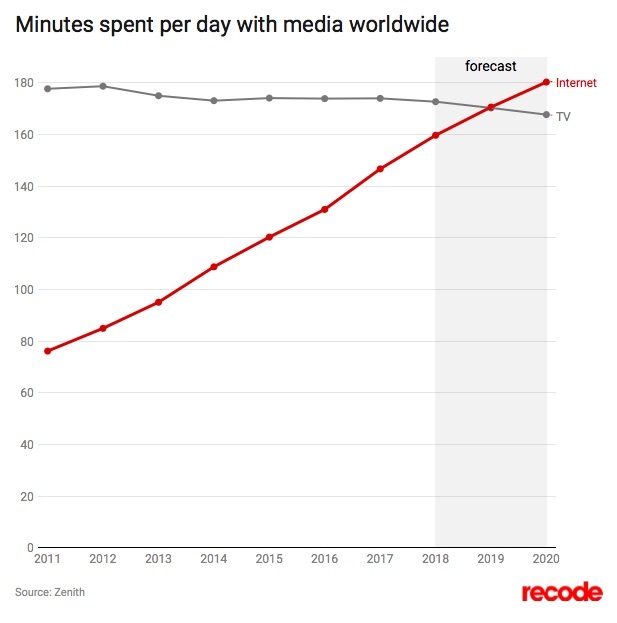 In 2019, people around the world will spend more time on the internet than watching traditional TV. That prediction comes from Zenith, an agency that conducts research for marketers on content strategy. Recode reported the findings of the study earlier this month, which found that people will spend an average of 170.6 minutes per day online, while they’ll spend 170.3 minutes each day in front of the TV. Though 18 seconds isn’t much of a time difference, it represents a trend in the amount of time people have been spending with both forms of media over the past several years. 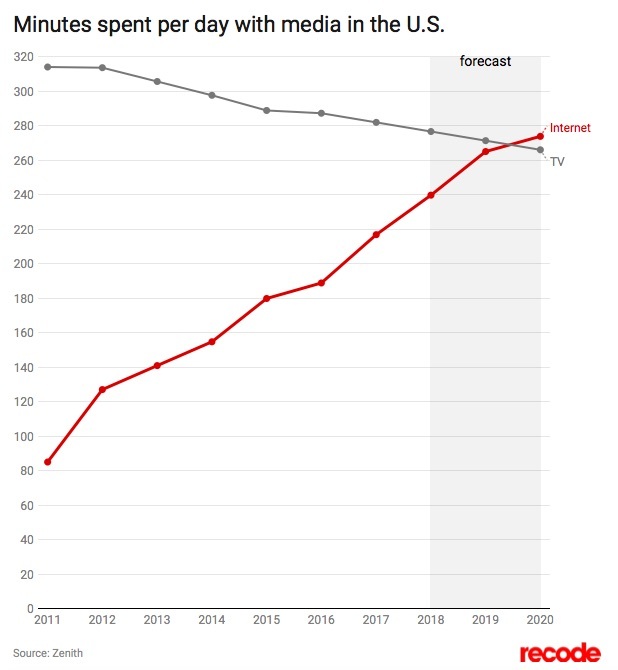 According to Zenith’s data, TV viewing hours have gone down since 2011 — from just under 180 minutes per day — while time spent on the internet has substantially increased from just under 80 minutes daily seven years ago. Both the decline in TV viewing and rise in internet usage are more stark in the U.S. In 2011, people spent nearly 320 minutes daily watching TV — a figure that’s dipped to under 280 minutes this year, according to Zenith. Time spent online among people in the U.S. increased from over 80 minutes in 2011 to 220 minutes in 2018. 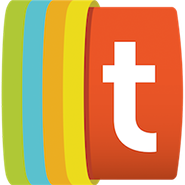 Internet usage is expected to eclipse TV use in the states by 2020. The study also notes the increased time people are spending on social media — which it separates from overall internet use — putting time spent on media activities overall at a whopping 479 minutes per day this year. Accordingly, ad spend is trending in the same direction as shifting viewing habits. This past fall, eMarketer predicted that TV ad spend would make up just 30.8% of total media ad spend in the U.S. by 2020 (it made up 36.6% in 2016). Meanwhile, ad spend across free video on demand content, like on YouTube and Facebook, is set to increase by 130% over the next five years, according to Juniper Research.